In today’s competitive corporate world, every business firm, whether small or large, has to make good use of modern telephone systems (communication technologies), in order to present a competitive and customer friendly approach. Effective communication has a key role to play in the success of every business, regardless of the medium used. As a faster medium of communication, business telephone systems have their own specific role to play in the smooth running of an organisation. 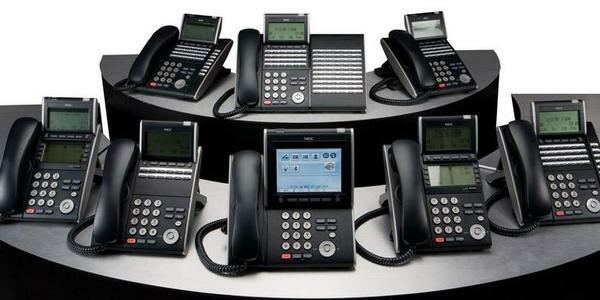 We offer the latest telephone systems technology from NEC and Panasonic to deliver a complete solution for your company needs allowing as many users as you wish, from 3 to 500 users. Our systems offer the latest SIP technology giving you greater flexibility to handle more telephone traffic through VOIP (Voice Over Internet Protocol) enabling cheaper calls and less expense for your business. We can provide you with the ideal solution, a solution based around your business requirements and of course what outlay you have for the system. What's more, is that if you currently do not have a telephone system; having one installed will also save you money on your on-going call costs and line rental.